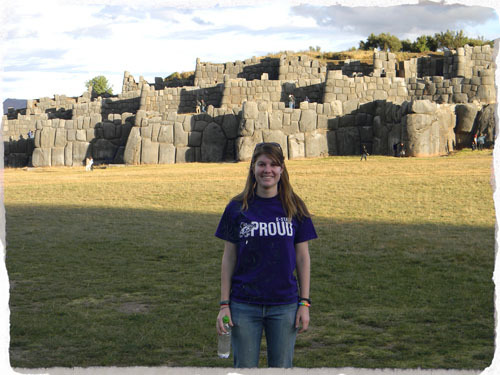 Kezia in front of Saqsaywaman, the main fortress protecting the city of Cusco. I am from Tonganoxie, Kansas. And I’ve now been living in Cusco, Peru for 13 months.What makes small-town farm girls from Tonganoxie, Kansas fall in love with Cusco? 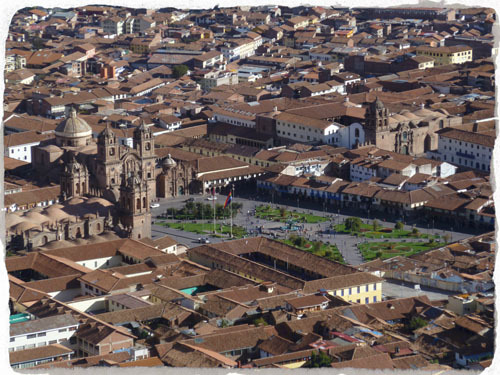 Well, it’s not a hard question to answer for those who have ventured to South America and experienced the charm of Cusco, but for those who haven’t yet had the opportunity, let me explain: Cusco, the capital of the ancient Inca Empire, is quite simply, a magical, captivating place. How did I get here? Well, I was 20 years old and it was my last summer of university. I went to Peru for 11 weeks, volunteering at a low-income medical clinic in Cusco proper and at a biological research station in the jungle. After my summer adventure, I wanted more, but, I went home because 12 credit hours were all that separated me from my BS. I went back, finished my last semester, and graduated in December 2010 with a Bachelor’s of Science in Biology and a minor in Spanish. At the end of January, just six months after I’d left Peru, I was, once again, Peru-bound. I had one suitcase, one carry-on, and big plans. 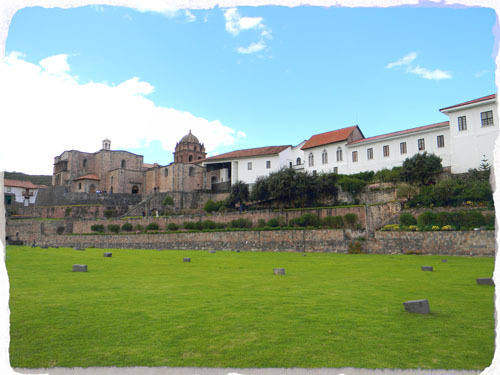 After obtaining a Teaching English as a Foreign Language certificate, I began teaching English to Peruvians at a language institute here in Cusco. After nine months of that, I am now the Academic Director at that same institute. With 1,200 English students, 50 Spanish students, and a lot of volunteers, there’s no doubt I work a lot…but, I work in Cusco, Peru. How many people can say that they walk past the Coliseum to get groceries, that the Great Pyramids are visible from their bedroom window, or that they run past the Taj Mahal? I’m one of those people. I work across the street from Qorikancha, the most important temple in the Inca Empire, and walk past massively, impressive stone walls built in the 13th century everyday. I’m still that good ol’ Kansas girl who believes there’s no place like home. 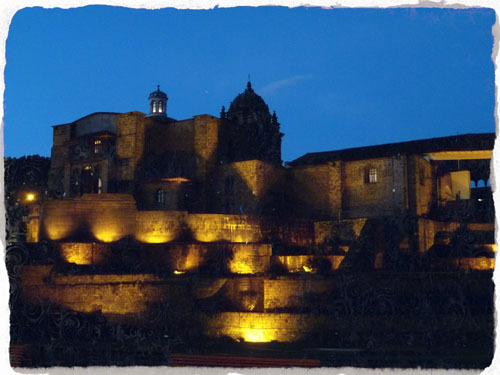 But Cusco – just ask anyone who’s ever been here – there’s no place like it. 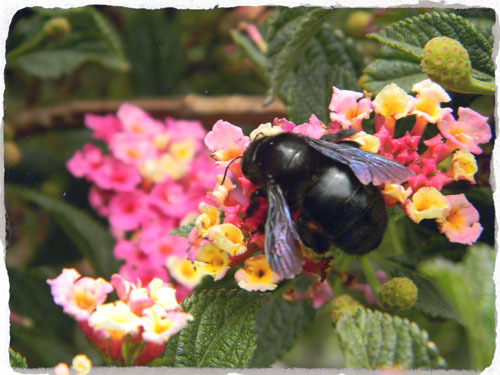 Bee pollenating flower at Qorikancha.